Shiko’s attention was caught by the screens of his PES [SM] A'den Carud. Red alerts flashed across with details of a newly discovered system of Prindaar. The Krath Dynasty was put on top priority orders to head to the system if under a seven day jump.After a quick calculation Shiko had realized he was only a days travel from the system. It could mean he would be one of a handful who could lay claim to parts of the planets there. 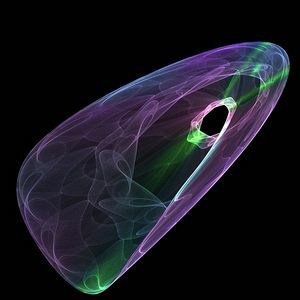 This would bring great honor to Aliit Brevin and increase our presence in the galaxy. He typed in the coordinates and jumped into hyper. Within twenty four hours Shiko was nearing the system of Prindaar, and had received order to proceed to Antar, it appears that almost all of the planet lay waiting to be claimed. Nearing the planet he began preliminary scans of the planet only to find only one other ship was planetside. 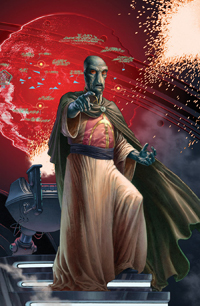 Clearing with Allit Breviin and The Krath Dynasty he began to scan the planet and begin setting up fortifications for the upcoming race to claim the planet. After securing as much lands as he was able he decided to explore some of the nearby planets and moons. When he hand landed on the Dead Moon of Antar Shiko had discovered an old encampment that looked to be hundreds if not thousands of years old. He searched the scraps and discovered a journal almost completely covered by dirt. He picked it up only to notice a crude version of the symbol he wore on his own shoulder. The symbol of Aliit Breviin had found its way to this dust bowl Shiko had thought, so he went back into his ship to examine what he had found. After leaving the planet and setting hyper for his home front he sat down and opened the book to read its contents. Mechanical failure of our ship has lead us to landing on this cursed moon. My name is Ruusaan, a name that was given to me by my buir when i was adopted. We had left our home world of Mandalore in exile, fleeing inevitable death from a war we had lost. Only six of us were in this ship, and already our stockpiles look like they might not last us long enough to receive aid or to fix our ship. 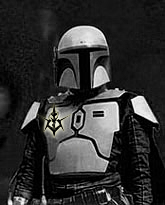 For all we know we may be the last six of our aliit, a family of Mando’ade known as Breviin. We had lost a war with the very Mand’alor we had once followed into battle. A corrupt leadership oppressing our people to be servants instead of the warriors we deserved to be all because of jealousy and fear. So now with all but us and maybe a few others who may have escaped we try to preserve our culture, our beliefs and most of all our spirit. We have searched our surrounding area only to find almost nothing, this slab of rock has nothing to sustain any kind of life on it. I feel more and more sure that we will not make it off of this rock, we only have one more week of supplies left and unless someone discovers us we are stranded here. We are unable to fix our ship so I can do little but see the worst in our future. I feel a sense of self preservation to write who I am, what I stand for and the dreams I once thought to live. So here I go, I am one of the Mando’ade who were adopted into the culture and into the family. I was only six or seven when my buir found me huddling in a ragged box i called home. He took me in and raised me as his own, and taught me what is was to be Mando’ade. How to follow the Resol’nare and to live by its tenets. Then most of all what it meant to be a Breviin, a word that has been lost to the tongue of the Mando’ade and only thought of as the name of our aliit. For Breviin means freedom, something that many of our culture know little about. Till our last breathe we choose to remain free to our convictions then to be oppressed and controlled by a leader we cannot follow. This is why we rose up and opposed the Mand’alor, he sought to control us. Aliit Breviin was founded by Tracyn Max, and through his guidance we quickly grew. 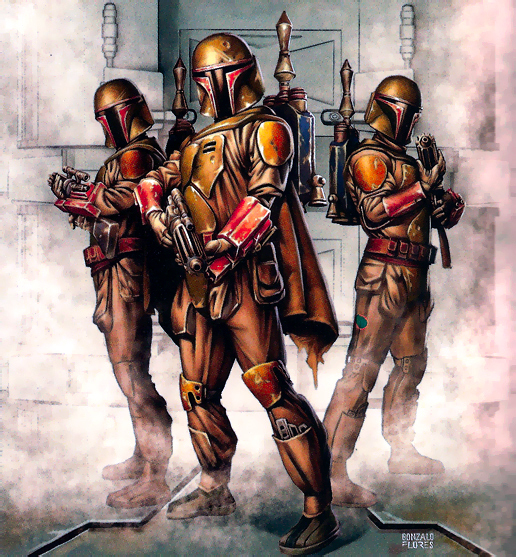 We earned the respect of our fellow aliit, and soon brought honor to all the Mando’ade which victories in battle. The current Mand’alor feared that we were gaining too much power and that Tracyn Max would challenge him, so he tried to deny us the honor that came so natural. He employed us to be laborers, and when finally he called Tracyn a aruteii and claimed he was enforcing his own Resol’nare we rose against him. Instead of facing Tracyn himself he ordered the other aliit to slaughter us and cast us as dar’manda. We fought long and hard against our brothers, and soon were were overwhelmed. Most of us died in one last stand, yet a few small groups choose to flee to carry on our aliit. I have little left to say, much less the motivation to write it. 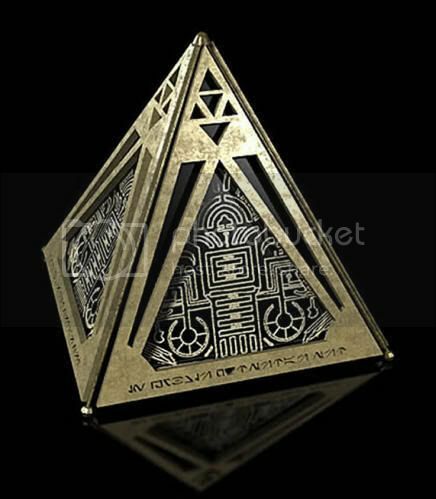 My vod and I will not make it off this planet so I ask the finder of this journal to search out the symbol on this cover and to deliver it to the those I call family, the Aliit Breviin. We must pass on our knowledge of Breviin, of our tactics and our training. Most of all a reminder that there are those who will crush and idea or a belief, but as long as those people exist so will Breviin and our fight for freedom. I want to leave you with the story of the man i called my buir, who above all may be the only reason why were even prepared to fight against our fellow Mando’ade. Sushir Suvarir was my buir, and for as long as i had known had been one of Tracyn’s closest confidants. He had a knack for overhearing conversations, and most of all how to read peoples true intentions. He worked as a servant close to the Mand’alor inner circle. He had relayed information to Tracyn for years and had lead to Breviin finally speaking out against the Mand’alor and his government. 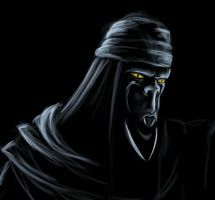 He was the spy for Aliit Breviin, and the one who heard a few words that would tell of the upcoming slaughter that would ensue. As he sent off his message he was discovered at the comlink, and would be slaughtered on the spot. Sushir Suvarir be Breviin, is a name whom I hold dear. I hope that those who find my journal will come to revere him as possibly the savior of the Aliit Breviin. 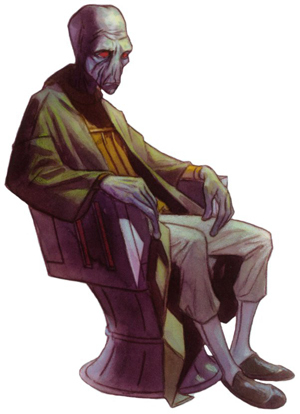 The Breviin are an offshoot branch of Mandalorians that had their main development during the Mandalorian Civil War that was started by Grevendar Togl and Tyr DeMeer. During this time, the Breviin had much contact with the Order of Krath, and this contact eventually led to the foundation of Breviin's religion, the Ke'gyce be Breviin. Followers of Ke'gyce be Breviin is the belief that while Lady Krath is a goddess, there is also the theory that the Force-sensitive founder of Breviin, Tracyn Max, was able to find immortality through different means. As immortals, Lady Krath and Lord Breviin (the name taken by Tracyn Max shortly after becoming immortal) chose both the Order of Krath and the Ke'gyce as their chosen people, and that they would give glory and honor to these two groups. The members of the Ke'gyce be Breviin also believe that ultimately Lord Breviin is the one who chooses the Aliit'buir of Breviin. The Ke'gyce be Breviin is led by the Aliit'alor, who serves also as the Head Priest. 1. You must profess your faith with the chant given by Lord Breviin many years ago. 3. You must follow the orders of the Aliit’alor and Aliit’buir to the finest of your ability. 4. You must bring honor in Lord Breviin’s name. 5. You must bring cultural wealth to the clan as often as you can. Atin Neth, Fenri Tobbi, and Demagol Wenno. These names traverse the expanse of Breviin’s history, and the legacy of Naast be Breviin remains a tradition true to their names. All three were born into the clan, and few years separated them. They grew together in age, bond, and skill. A recent covert expedition of Breviin’s historic encampment led to the discovery of several ancient holocrons. This particular holocron documented Fenri Tobbi's life hunting in the jungles of Mandalore. Fenri's father beckoned him near "Olaror, verd'ika" [Come, little soldier]. He was to come of age soon, and he was to be presented with a blade passed through the family for many generations. He would soon be a Mandalorian, not only in name, but in status as well. Fenri Tobbi motioned toward his father confidently, but showing the proper respect for his elder. His father turned to greet his son, and at the same time carefully removed the ceremonial blade from it's sheath by his side. Fenri's father looked at the blade, and simply said "Kahl, aru'e gar bikadinir" [Blade, run through your enemy], and with this, Fenri was bequeathed his first blade. Senses keen, weapon at the ready, Fenri carefully carved a path through the Jungle with his companion. Lush tropical trees enclosed them as the undergrowth grew thicker with every step. The young Mandalorian caught his trailing foot on a outstretched root and fell helplessly to the ground. "Utreekov!" [Fool!] Atin exclaimed carefully, offering his friend a hand to grasp as he pulled himself back to his feet. They were no more than five hundred yards from the encampment, but the two young Mandalorians were already starting to lose their orientation. "Ke'mot!" [Halt!] Fenri said under his breath - something had caught his eye, not much more than enough to arouse suspicion. Movement, slightly to the right. He motioned for the two of them to pursue the image - it was to be a mistake that would eventually mould the two as warriors. Swiftly but cautiously, the two gave chase to the figure. With sudden speed, the figure drew a blade and struck Fenri down with the open face as to cause no damage. Atin drew his own blade, but it was unnecessary as the rogue Mandalorian simply said "Vaimpar, evaar'la verda" [Return home, young warriors] before disappearing into the foliage. A great war horn reverberated through the Clan encampment, it was accompanied by periodic, ground-shattering thuds. Fenri's heart beated faster as adrenaline coursed through his body. He had heard tales of the Mythosaur, but never had one strayed so close to a Mandalorian encampment. Fenri's father burst into his quarters "Ner ad, hibir gar kad. Mhi akaanir tome!" [My son, take your sword. We fight together!"] and with no hesitation, Fenri leapt to his feet. With little time to prepare, his adrenaline was key in finding the speed to don his armor and weapons. Over the treeline, the great beast was barely visible. Swaying as it moved closer to the encampment. It's slanted eyes scanned the forest below, the forest in front, and the forest around it. It's long, sharp teeth protruded slightly from it's mouth. Battle cry's rang out, as an organised defense dissipated into the jungle beyond to combat the beast. Fenri sprinted through the undergrowth. His skills were honed now, and that was evident as he leapt over obstacles with ease. The periodic thudding grew louder and louder as they neared the Mythosaur, and they neared it. Unfaultering, Fenri and his father blended with the hoarde of vode charging the beast. Just infront of them, one of the Mythosaur's giant legs impacted with a tree, sending it hurtling towards the oncoming defenders. Fenri dived to the left, and his father landed just by his side. Urgently getting to their feet, they drew their swords just as several rope darts penetrated one of the beast's legs, and pinned it to the ground. Semi-immobilized, the beast grew enraged and flailed out against the surrounding forest sending various debris flying. The trunk of a tree landed lengthways just meters to the side of Fenri, crushing several fighters. Fenri's father donned a spear, and swiftly passed in between the beast's front legs, sending the spear hurting towards it's underbelly. Meanwhile, Fenri sliced at it's lower leg in the hope of crippling the beast. It continued to thrash, and stamped one of it's hind legs sending a powerful shockwave across the ground, shaking Fenri to the ground. He landed under one of the Mythosaur's front legs, but rolled to his left just in time to avoid being crushed. The next shockwave sent him hurtling to the side, landing atleast 10 meters away from the beast. The Mythosaur shrieked as Mandalorian hunters hacked at it's legs, it's strength sapping away. Fenri charged back into battle, moving toward the beast's front right leg. Fenri leapt upwards, and grabbed at the leg, and began to ascend. The beast attempted to shake Fenri off, but the young Mandalorian was fearless, and continued - his grasp was strong. He reached the kneecap. The beast raised it's leg to stamp the warriors below, and Fenri lost his grip. He hurtled towards the ground. As he tumbled helplessly, he unsheathed his blade, and plunged it into the Mythosaur's leg as he descended, creating a relatively thin, but long gash and ultimately slowing his fall. As he hit the ground, an immense pounding pain filled his body before he passed out. Awaking some distance from the battle, the great Mythosaur lay lifeless on the open ground. Fenri was told his father had died a true warrior's death. The Naast be Breviin is a trial created by 3 ancient warriors that served as commanders of Tracyn Max´s army in the old wars. Their names were Fenri Tobbi, Demagol Wenno and Atin Neth, two of them died in the Talyc battle but one of them survived, Atin Neth led the survivors and went to exile, he was proclaimed allitbuir of that time and taught the trials and customs of the Breviin to the survivors. He taught the existence of the Naast be Breviin trial that was created by him and his vode Fenri and Demagol. This teachings were past on to the following generations who kept it alive and recorded it in books and scriptures. After the Re unification of the clan, the trial has reborn and many new Naast be Breviin have risen. Rowana Pellegrino was a Duros scout of the planet Duro. On one of their missions they found out that the talisman was stolen by a Neimoidian dealer. Rowana Pellegrino the decided to hire some mercenaries to help him fight the Neimoidians. He hired group of Mandalorians from the Clan Breviin. They fought together and managed to rescue the talisman; but Rowana after feeling the immense power of the talisman felt tempted to keep it by himself and not to return it to Duros. A-Op Jagi Breviin "mesen alverde"
A-Op Jagi was a child when his parents died in the Talyc Battle where they fought in Tracyn Max´s army, after the battle he was sent to exile with the rest of the survivors, while growing up he learned how to pilot and became a great fighter. 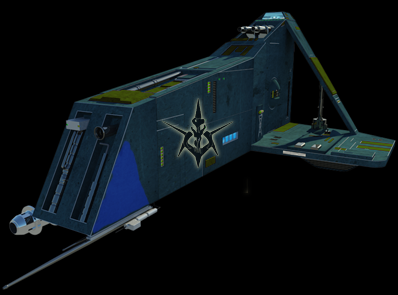 he was assigned to a Pursuer Enforcement Ship named “galaar 8”, he served in the breviin´s fleet, before the clan was scattered some colonies were funded by the survivors. 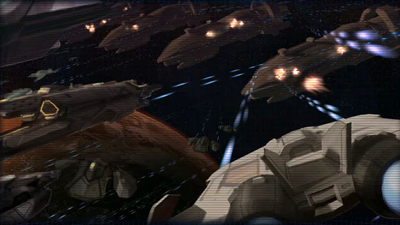 The Manda´lor sent his entire star fleet to search and destroy the colonies. 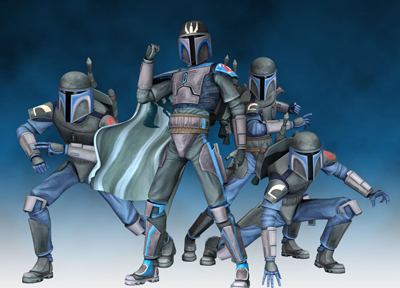 During those battles A-Op Jagi played an important role in fighting the Manda´lor forces. He had 21 kills in his record which gave him the title of Ace. It is trial that was created by an ancient warrior Atin Neth, he was a warrior of Tracyn Max´s army that fought the Mand'alor during the mandalorian civil war. 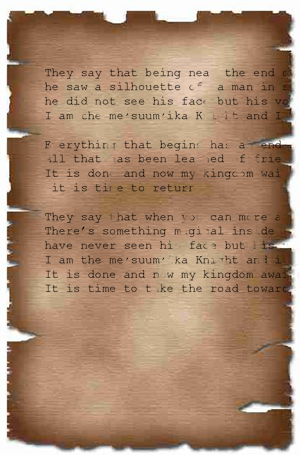 There is an ancient tale and it is believed that it was written by Atin Neth when he met Tracyn in a battle , researches and historians have established that Atin was seriously injured in a battle against the Mand´alor forces, he was leading a small rebel group of breviin hunters when the clan was not united. Tracyn Max who was recently proclaimed allitbuir of the clan was in the task of uniting the clan, he and his forces went to battle to help Atin Neth, and that is how they met. Atin Neth then became one of Tracyn commanders and part of his special forces. Atin Neth survived the civil war and went to exile, a sword and a few books that were believed to belong to him were found close to Tatooine by Breviin hunters. It is done and now my kingdom awaits for you ! It is time to take the road towards the light, towards the temple of Ret'urcye mhi"
“in order to become a great hunter one must take down enemies stronger than oneself.